The building is built at the quiet bay of Xifias, 5 kilometers away of the town of Monemvasia. 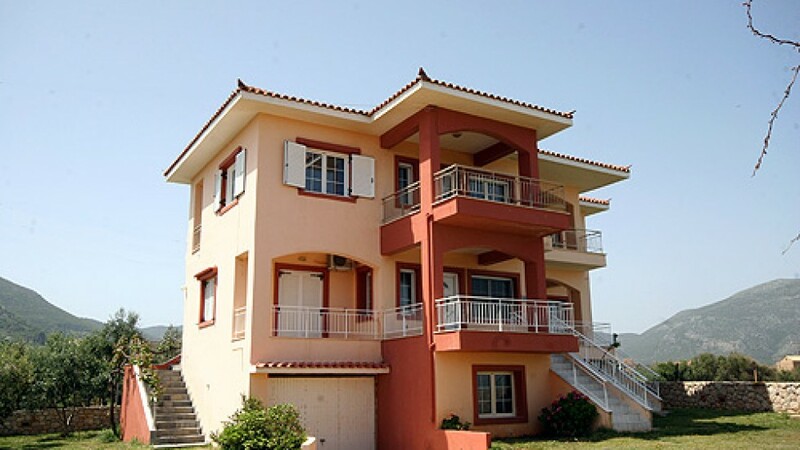 In a yard of 5 acres the building consists of 4 independent apartments of 50 sq.m. each. Its big verandas offer the visitor a wonderful view of the sea and the castle of Monemvasia. Loose yourself on the quiet reading of a book, enjoying together the endless sun letting behind the anxiety of the city. The apartment is fully equipped, offering all the electrical appliances, as well as T.V. and Air Condition too, making your staying an enjoyable experience . Begin your day with a swimming at the quiet beach next to the building, taking energy for the rest of the day! In addition, Lakis Apartments makes the staying of young visitors very enjoyable as it offers a quiet and safe playground for peaceful and memorable moments away from the noise of cars. We also offer a spacious and free parking area.